Casually flicking through the app store I stumbled upon a game called Game Dev Story, hey, this could be interesting. I bought and downloaded the app and bam! Terrible graphics, barely any tutorial or intro and strange controls and design, I clicked the home button and didn’t touch it again for a week. A few days ago, I gave it a second chance and I’m glad I did, Game Dev Story is an amazing game in concept and in gameplay. Whilst not an all ’round star, Kairosoft have definitely packed a punch into this one. The game starts you off with the beginnings of a Game Development company and the rest is up to you, choose between quality or speed, innovation or simplicity, your products are customized to your own ethics and standards. There are endless possibilities as to how you want to direct your company as you pick and choose your employees, train their skills and direct their work attention. Your company can at first employ 4 workers but this number can be increased as you progress, each of your workers have 4 individual traits which determine how well they work. Sound engineers develop ‘sound points’ better and faster, coders contribute to the genrel making of the game, artists make graphics and writers help to make the game fun. as CEO allow to improve these factors, you might want a musically sound game, with a little less time spent of graphics. You can also spend money on boosts, giving a certain aspect a well needed kick-start; or maybe some extra polish. That’s what the game is essentially about, decisions, decisions, and decisions. It really feels like what I believe game Dev could be like, tough and cruel, but with its exciting moments as you prevail your very own video games to the virtual world. Theres plenty of other features, too many to cover them all, but this game is downright amazing. A great business model (No god be damned in app purchases), great fun and an amazing game. 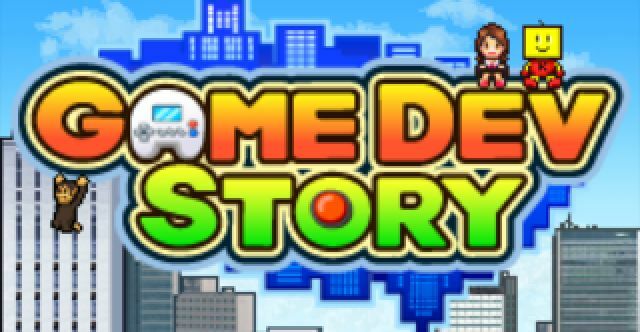 Kairosoft have certainly earnt my trust with this one, an overall sense of meta humour overcomes me with this quirky little piece of game making, whilst playing a game. A must try, ignore the price tag and hit that purchase button! Ditto #22, 10.8.2 seems to have borked it. I get the baoveihr click on slider, password prompt, beachball, redraw slider, still off that others have seen. Crucial M4 256MB. Late 2011 15 . Tja, auf gewisse Fragen gibt MorgenlÃ¤nder keine Antwort. Bzw. er "miÃŸversteht" die Frage.Und windet sich rhetorisch auf eine Weise, welche an entweder dialektische oder jesuitische Schulung gemahnt.MorgenlÃ¤nder, Sie sind doch, Ihrem Blog nach, sowohl Christ als auch kulturell (klassische europÃ¤ische Musik) engagiert.Was ist es fÃ¼r ein GefÃ¼hl, wortgewaltig fÃ¼r die ZerstÃ¶rung und Vernichtung all dessen einzutreten, was Ihnen wichtig ist? Hi Lizz, I’m not too sure if those would work. It really would be trial and error. But right now, fresh cream is my recommendation. If you want to try lacto in chicken but in a different and absolutely delicious way try this recipe => you’ll love it! Hey there, I just hopped over to your web page through StumbleUpon. Not somthing I would normally browse, but I enjoyed your thoughts none the less. Thank you for making some thing worth reading through.